Athens is absolutely packed with culture, from its ancient sites to lively modern day bars and restaurants. It’s also fast becoming one Europe’s best nightlife destinations, thanks to its selection of bars and clubs and also due to the fact that the locals enjoy a good night out. There are more chilled out cafes where you can grab some Mezze and have a few relaxed drinks, urban chic bars and more upbeat pubs and clubs. There’s an evening out to suit everyone in Athens. 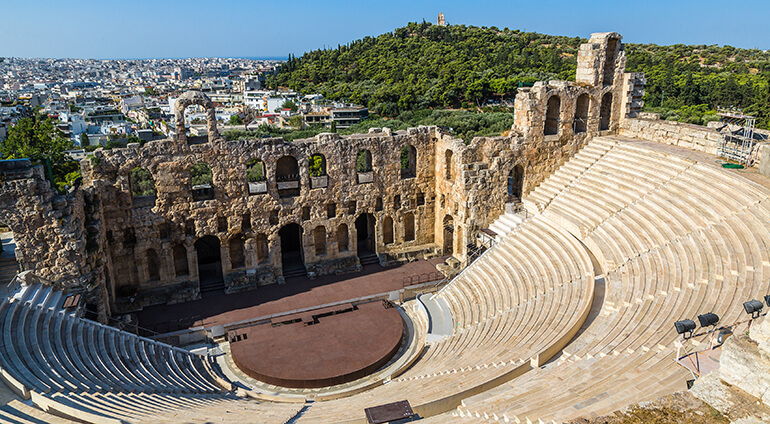 You certainly won’t be short of historical sites to see in Athens, it’s difficult to pack them all into one trip. For those interested in Greek history, there’s also a wide selection of different museums including the National Archaeological Museum and the Benaki Museum that contains Greece’s oldest private collection. Lose yourself in the fascinating history and culture of this magical city.